Roll over the images below to find out a bit more about our core team including the directors, account & project managers, designers and programmers. Managing Director Dan Gilbert looks after account direction for our big name clients in business aviation. He aims to combine the strategic with the creative and practical to deliver effective marketing online and offline. Keeping all our clients ahead of the competition with the use of emerging technologies for online marketing. After all – it’s what we do! For the company Dan focuses on continuing our organic growth to build a robust and sustainable business. He is proud of our gradual rise in profile and the increase in complexity and comprehensiveness of our projects and campaigns. Seeing the team grow and our skills and capabilities develop, making DI a real force to be reckoned with. Tomorrow’s challenges – Dan says bring them on. Frank Norman is a company director, responsible for account and business development, business profitability and the commercial direction of the company. Since joining the company in 2002 he has focused on the development of the long-term relationships with our clients across the full spectrum of industry sectors. 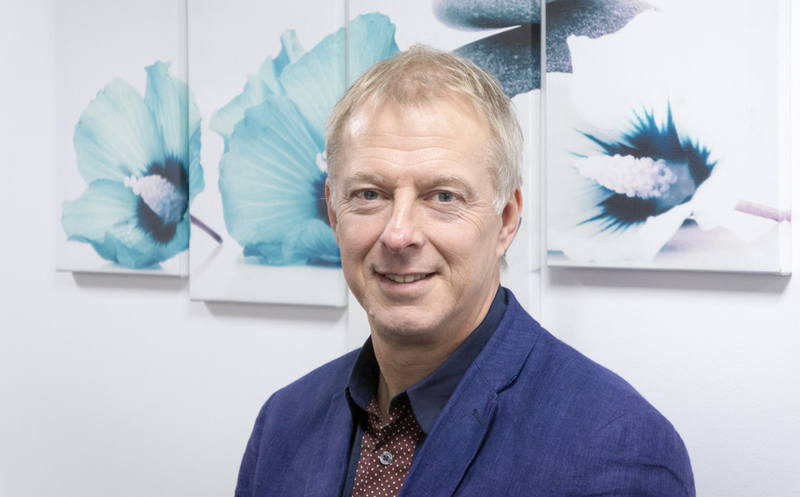 Frank has experience across all commercial and marketing disciplines and ensures that all Design Inc clients can rest in the knowledge that their requests, whatever they may be, will be handled with skill, knowledge and a safe pair of hands. David Parker is our branding specialist, he has been with us for ten years now. A senior strategic consultant with many years board level agency experience and also client-side roles in marketing and communications. David is skilled in marketing, brand strategy & concept development, planning and providing insights. 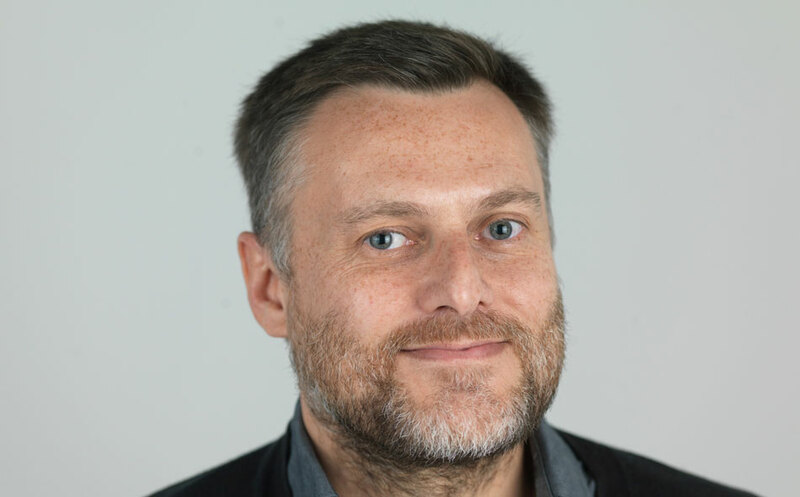 He has extensive experience across all areas of integrated marketing and communications including: branding, advertising, communication design, employee engagement, direct marketing, data, search and digital. Senior Designer Paul Golding, aka Goldie, is a cornerstone of our creative output. 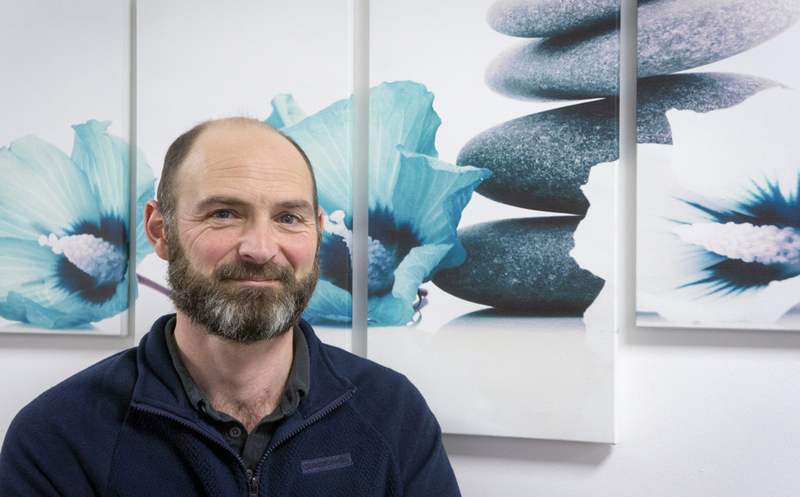 Paul works across all of our clients’ business providing integrated campaigns that include branding, advertising, digital and literature design. Paul joined us from agencies where freelancers were used extensively. He enjoys the real idea exchange and team effort at Design Inc with him leading the creative projects through to completion. 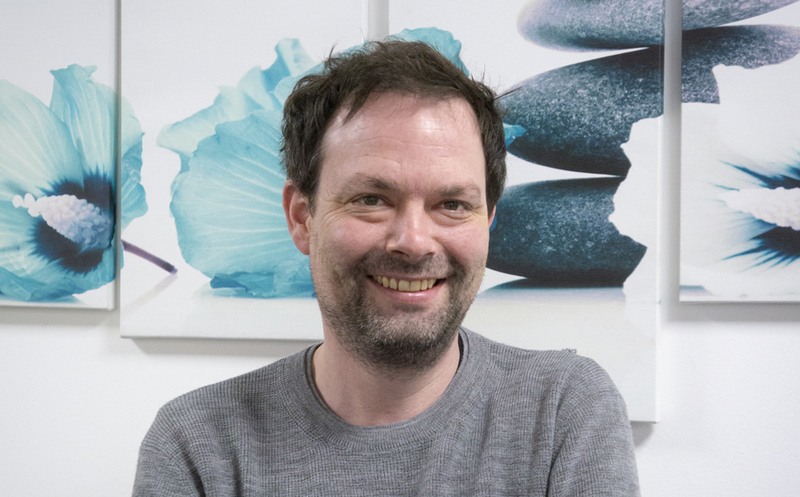 Jon Turner has been with Design Inc since 2004 and there’s not much he doesn’t know about design & artworking for any design job that goes to print or programming. If the devil is in the detail, then Jon is Lucifer! Jon’s task as Studio Manager also includes the daily running of the studio, looking after our design tools and computer systems. Jon also specialises in publication design, 3D, packaging and product design. 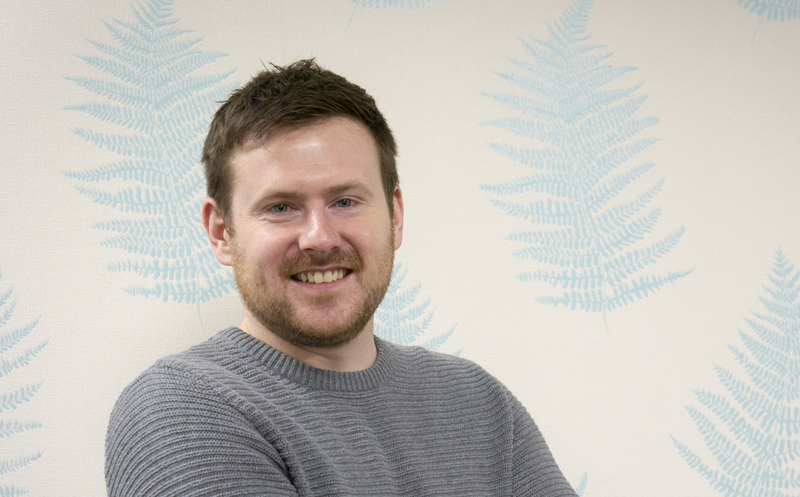 After a number of years successfully freelancing for us, Nick Bennett has joined us as a full-time designer. Nick thinks the experience of the team is fantastic and enjoys sharing creative ideas with them. Amongst the studio he is called Gandalf – the wizard of PowerPoint. 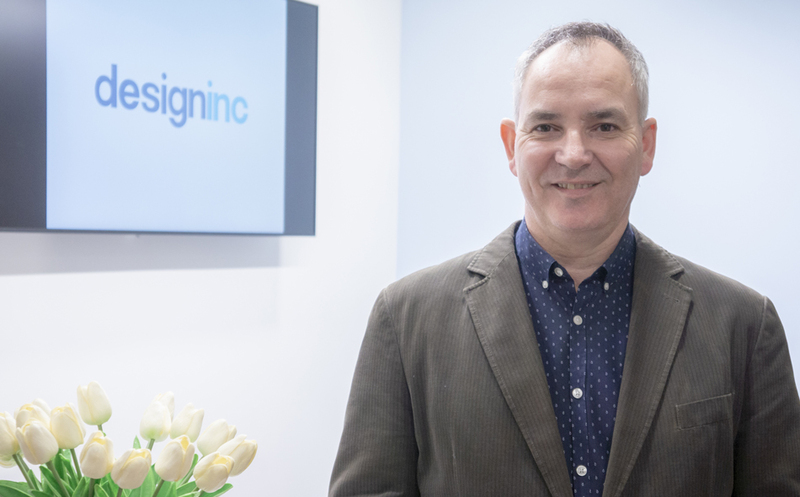 Over the years he has also developed a specialism in brand identity development and, with oversight from Paul and David, has been responsible for some of our more striking marques. Nick also likes the open plan setup, where we all engage in conversation and debates ranging from work to politics and social activities. He thinks this really helps to bind the team together and makes for a unique atmosphere. 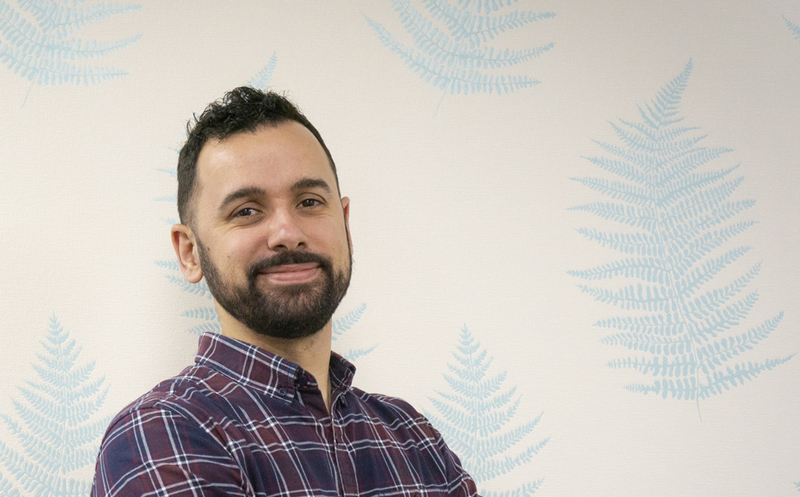 Dan Moe, our Head of Digital, started his career as a designer so can effectively bridge the gap between the creatives and developers to ensure the process runs as smoothly as it can. 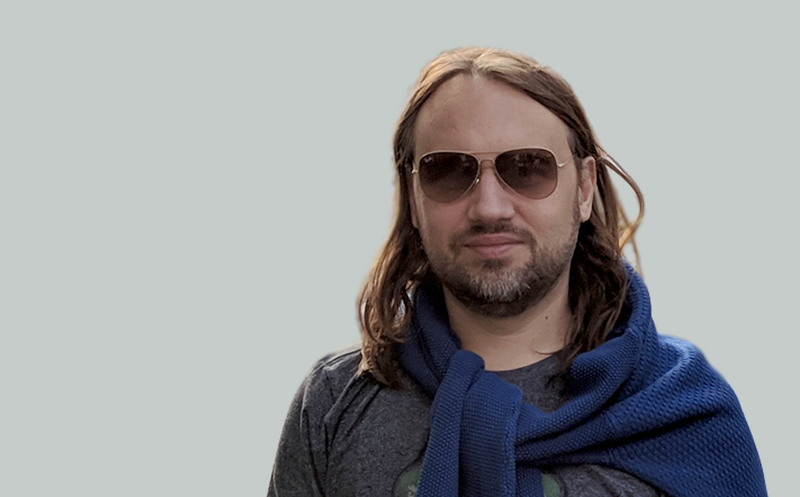 Dan’s passion is user experience, so is he is always focused on UX as well as developing our technical creativity and project management processes. 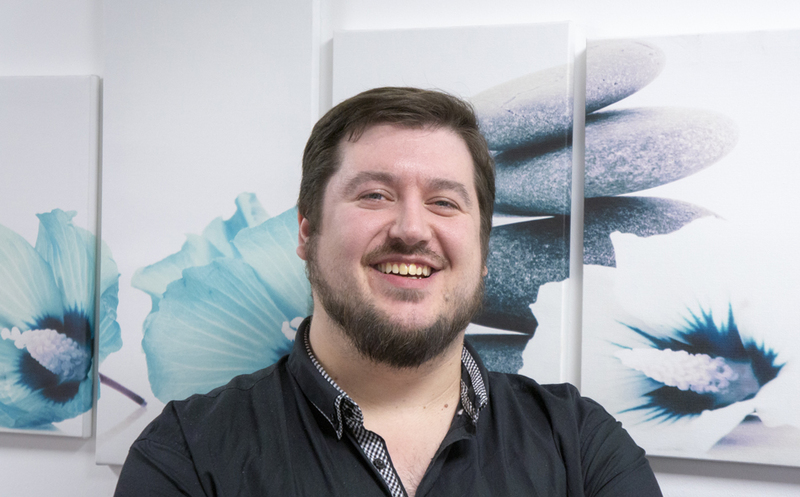 Dan’s well respected track record includes working on website and app projects ranging from small, stylish ‘lifestyle’ assets to extensive and complex consumer e-commerce site builds. He also draws on this experience to help Lindsey to streamline the Design Inc processes where possible. Chris Grace is one of our senior web developers currently working across a variety of our clients’ business providing cutting edge digital developments. Since joining Design Inc, not a day has gone by without him elbows deep in websites, animated apps and e-shots. Chris loves nothing more than getting his hands dirty with PHP and WordPress. He’s passionate about web and enjoys being in the thick of things when a project transforms from design to a fully functioning website. Project Manager Lindsey Smith provides us with a combination of organisational, communications and juggling skills. Not forgetting the diplomacy of a politician and the patience of a saint! 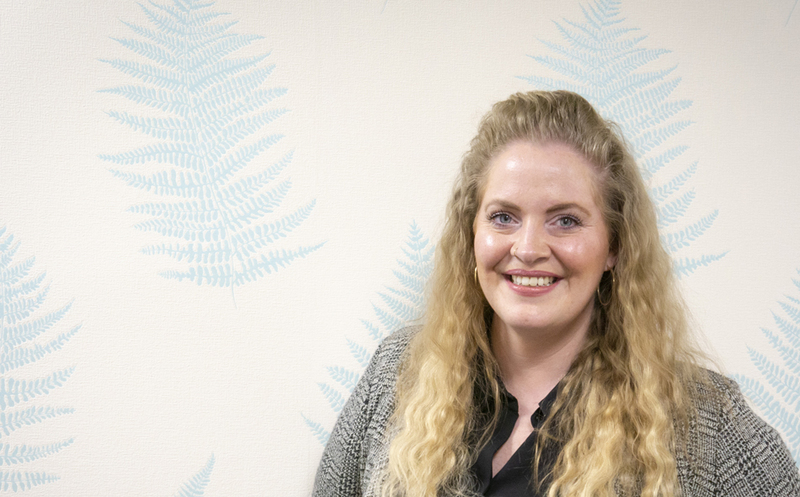 Lindsey feels that many creative agencies underestimate the importance of project management, however, the role is integral to ensure projects are delivered not only on time but more importantly within client’s budgets. Lindsey enjoys the variety at Design Inc, one minute working on a business aviation exhibition build, the next on a campaign for a landmark London venue or new food brand identity. Steve Barlow is our Finance Director focusing on more of Design Inc long term financial plans, looking at things like cost efficiencies in our tax and overheads. Typical accounts tasks! He says: The company is so good to work for. The team are always positive, enthusiastic and it is obviously they all love their job. That, and the fact the company has just invested in a beer fridge! 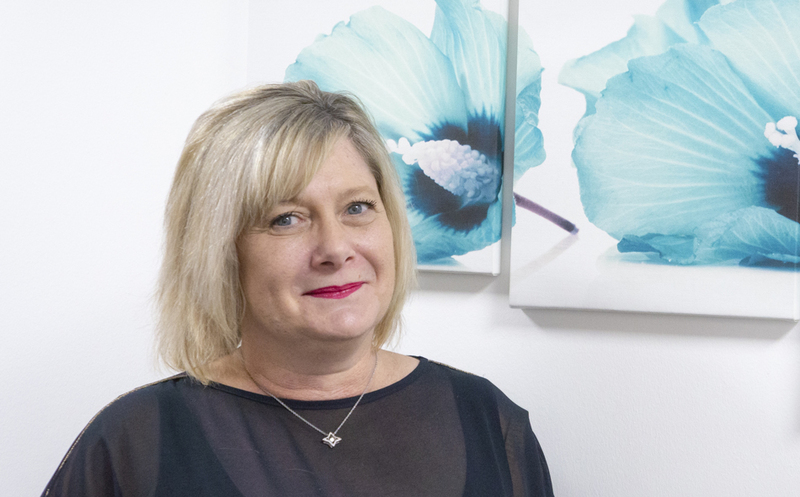 Kelly Halford is our Financial Controller, looking after the cashflow in accounts. Her job is to manage all things financial, working closely with the Finance Director. Ensuring that timesheets and other project costs are effectively captured and managed, as well as ensuring the whole finance process is handled efficiently. Kelly enjoys the fun and creative environment as well as the variety of work. Seeing a campaign being developed from scratch and rolled out successfully is very exciting. 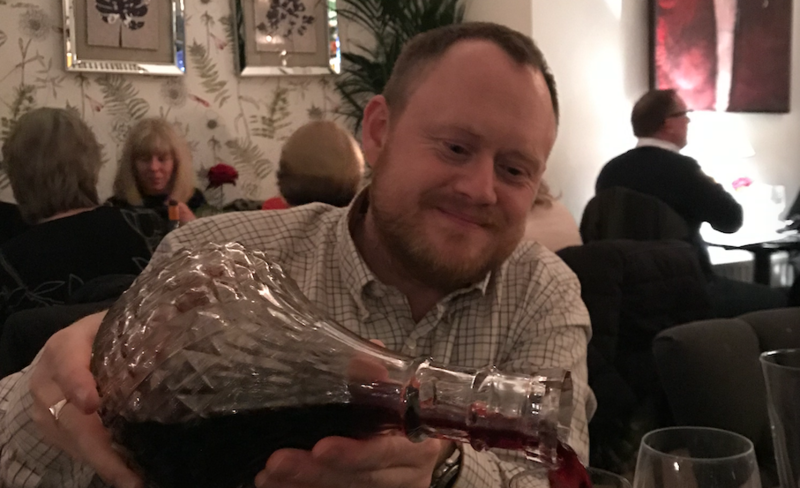 Lee is our specialist in web & server administration responsible for the smooth running of all our web infrastructure and ensuring hardware and software solutions are interactive, secure and scalable. This could be as simple as securing an email contact form through to the establishment and upgrading of the company wide servers. Lee loves working with the team, all of whom are experts in their field, as this means there is always someone to bounce ideas off. 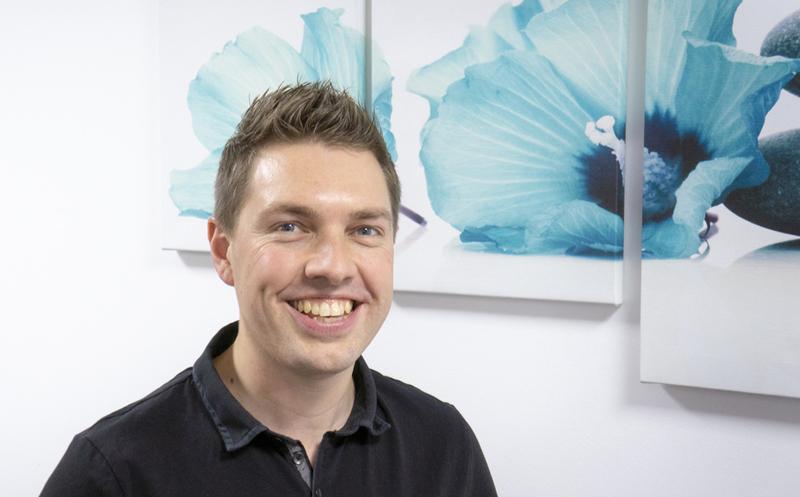 Rob Dobson is our SEO Consultant and all-round digital marketing expert. If you want your website to be creative, then that’s a given. But if you want it found, then that’s where Rob comes in. From the minutiae of keyword research and alt attributes to the importance of a technical approach to SEO, if you want to give your website the best possible start in life then you need Rob’s nurturing strategies. Sarah Turner is a copywriter who has a real knack for making the ordinary sound extraordinary. Her words inspire, persuade and inform. She specialises in website copywriting, SEO copywriting and online content. But also writes brochures, ads and direct mail pieces.